CALL 800 430 6536 FOR APPLICATIONS SUPPORT - TestResources offers a wide selection of electromechanical test systems and configurations for test needs. 100P Series Entry Level Standalone Servocontroller – PC not req'd – adjustable speed - Upgradeable Modular System – Single or Dual Column Frame, Several Travel, Speed, Load Ratings - Upgradeable Controller – Captures, displays and exports test data to Excel. 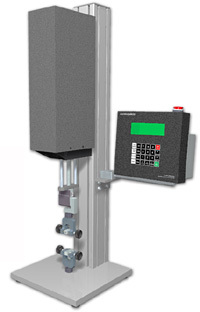 100Q Series Single or 2 Column Test Systems – Standalone - Servocontrolled Speed & Load - Best Value - Universal - Modular - Manually adj crosshead (31”) with 6” or 12” stroke – Captures, Displays, Exports data - Optional Software plots data. 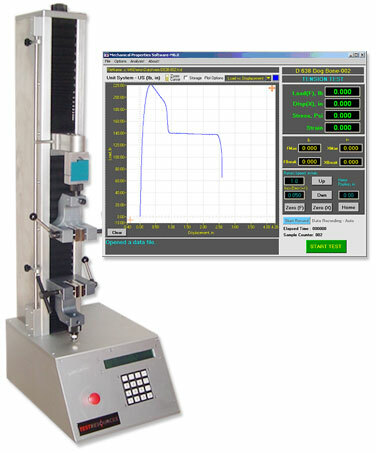 100R Series PC Servocontrolled (Load, Strain, Stroke) Single or 2 Column Test System - Most Flexible in Price Class - Modular - 12 inch travel with adjustable crosshead - extensive analysis package - great for research and test labs where tests change daily. 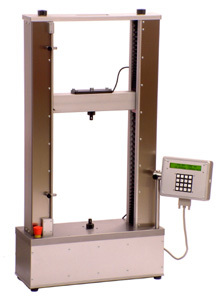 650M Single Column Robust Test System -- Constant Speed & Load - 21" travel. 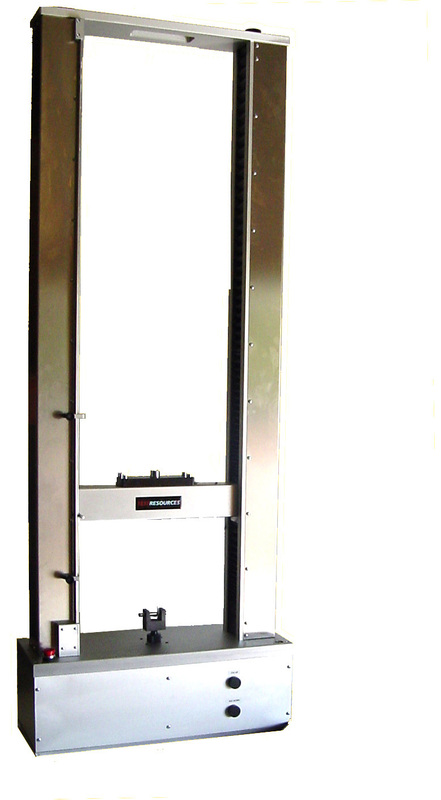 Captures and displays peak load and elongation at break. Optional Software provides machine control, real time plotting, analysis and data export. 650M44 Long Travel (44") Single Column Robust Test System -- Constant Speed & Load - Captures and displays peak load and elongation at break. Optional Software provides machine control, real time plotting, analysis and data export. 1000M Single Column Robust Test System -- Constant Speed & Load - 21" travel - Captures and displays peak load and elongation at break. Optional Software provides machine control, real time plotting, analysis and data export. 1000M44 Long Travel (44") Robust Test System -- Constant Speed & Load - Captures and displays peak load and elongation at break. Optional Software provides machine control, real time plotting, analysis and data export. 2000M5 Dual Column Robust Test System -- Constant Speed & Load - 21" travel - Captures and displays peak load and elongation at break. Optional Software provides machine control, real time plotting, analysis and data export. 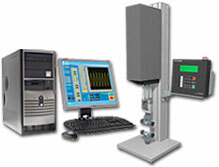 2000M Robust Dual Column Test System -- Constant Speed & Load - Captures and displays peak load and elongation at break. Optional Software provides machine control, real time plotting, analysis and data export. 2000M44 Long Travel (44") Robust Dual Column Test System - Constant Speed & Load - Captures and displays peak load and elongation at break. Optional Software provides machine control, real time plotting, analysis and data export.